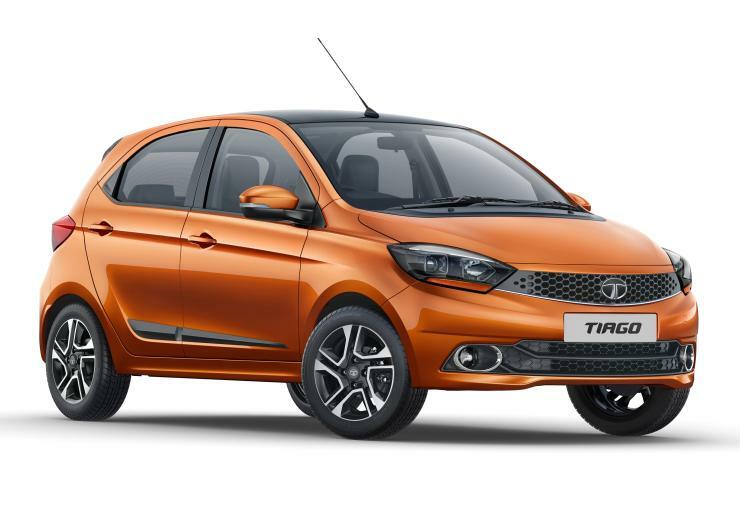 Tata Motors has just launched yet another variant in the Tiago line-up. The XZ+ top-spec variant of the Tiago is the 26th variant in the car’s line up. The hatchback is Tata Motors’ best sellers, and the wide range of variants on offer are meant to suit a wide range of buyer budgets. The latest variant of the Tata Tiago sits beneath the JTP trim though. The Tata Tiago XZ+ is priced at Rs. 5.57 lakhs for the single-tone petrol variant while the double tone petrol variant is priced at Rs. 5.64 lakhs. The diesel variant of the car starts from Rs. 6.31 lakhs for the single tone variant while the dual tone variant is priced at Rs. 6.38 lakhs. All prices reflect ex-showroom Delhi figures. 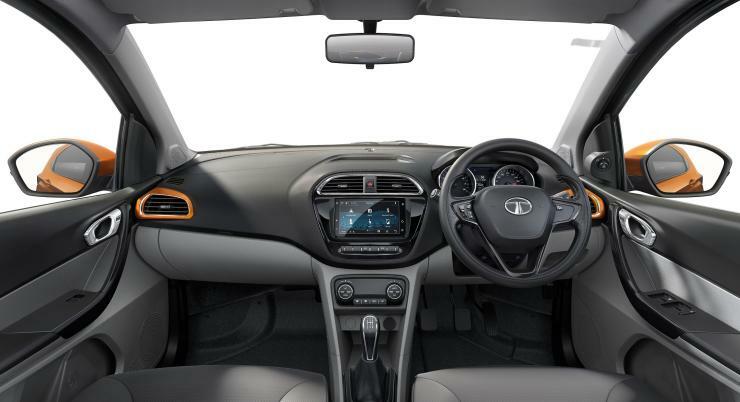 The Tata Tiago XZ+ is available with two new colours – Canyon Orange and Ocean Blue. Dual tone paint finish with gloss black roof and hatchlid spoiler, 15 inch alloy wheels with a dual tone finish on the petrol variants, chrome lining on the hatchlid, body side mouldings, projector headlamps with smoked finish and electrically adjustable wing mirrors that also get a folding function. On the inside the car gains a 7 inch touchscreen infotainment unit, Android Auto connectivity, voice commands, digital AC controls, fully automatic climate control. The engines of the Tiago remain unchanged. The 1.2 liter-3 cylinder petrol engine with 84 Bhp-115 Nm, and 1.1 liter 3 cylinder turbocharged diesel engine with 69 Bhp-140 Nm will be offered. 5 speed manual gearboxes will be offered as standard with both engines. As of now, Tata Motors hasn’t offered the 5 speed AMT option with the petrol engined XZ+ variant although such an option is offered with lower variants. 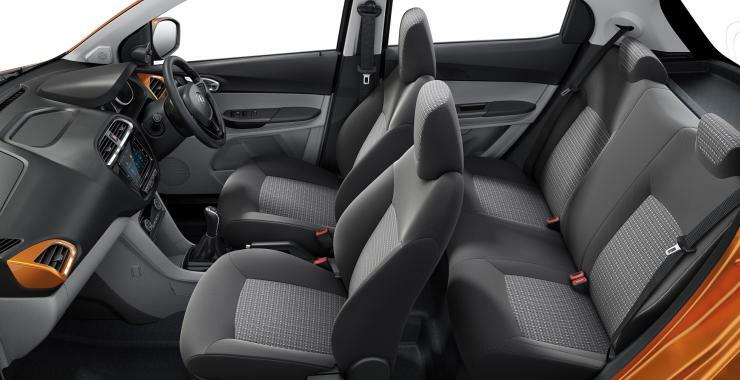 Tata Motors also offers a high performance JTP variant of the Tiago. The Tiago JTP is India’s least priced hot hatchback, and is powered by a 1.2 liter turbocharged petrol engine that puts out 114 Bhp-150 Nm, A 5 speed manual gearbox with revised ratios and stiffer suspension are other mechanical changes on the car, which also gets a few visual changes. Prices of the Tata Tiago JTP start from Rs. 6.39 lakhs. Since its launch in 2016, the TIAGO – our first product to be launched under the IMPACT design language; stood out as an attractive, innovative and feature loaded car. It has been the most awarded car of the year with over 18 awards in 2017. With its continued demand amongst our customer base, we are today proud to announce the introduction of the new top of line variant in its range – the Tiago XZ+. Offering features and styling from a segment above, we are confident that the XZ+ will be much loved by our customers and will further help us expand our market share and support in our journey to ‘win sustainably’ in the PV business.